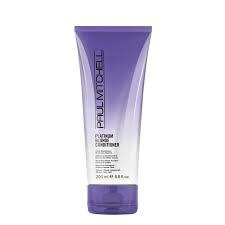 Paul Mitchell Extra Body Daily Shampoo thickens fine and normal hair. It effectively cleanses the hair, while panthenol and thickening conditioners help to increase volume and improve both wet and dry combing. It works by penetrating deep into the hair shaft and attaching to the surface to add volume, increase body and help repair damage on the cuticle. With an Activated Shine Blend of chamomile, henna, rosemary, aloe vera and jojoba, that helps to create brilliant shine and reflection. To Use: Wet your hair. Apply a small amount into the palms of your hands. Massage into hair and scalp. Rinse completely.